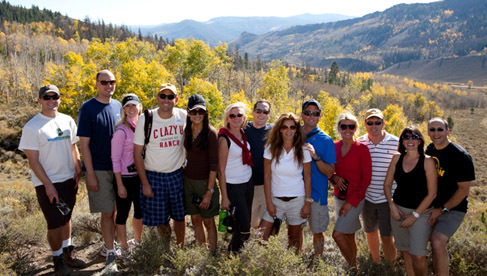 Family owned and operated since its beginning, C Lazy U is an inclusive, luxury guest ranch that has been dedicated to providing memorable family vacations since 1919 and has been renowned as a 5-star, 5-diamond ranch for years. 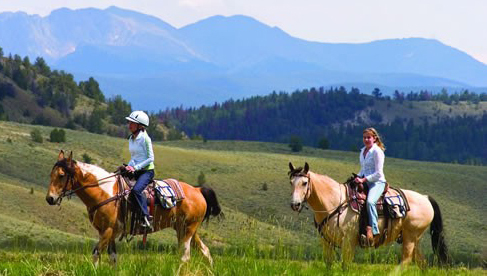 C Lazy U Ranch boasts picturesque views of the Continental Divide and the Indian Peaks Wilderness, while maintaining a secluded feel, being nestled in a quaint valley, on over 9,000 acres. 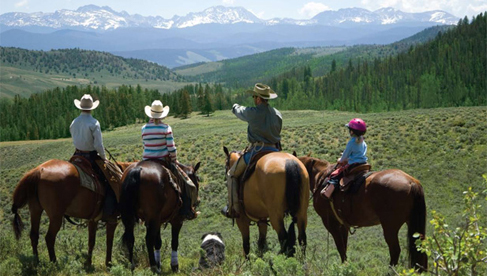 During a typical stay, kids and adults have the opportunity to ride twice a day, every day, improving their riding skills on horses that are anything but nose-to-tail animals at this Colorado dude ranch. C Lazy U’s wranglers take pride in the natural horsemanship techniques they use to train independent, fun to ride horses; and at the end of a week’s stay, guests participate in a shodeo to show off the skills they have acquired over their Colorado ranch vacation. 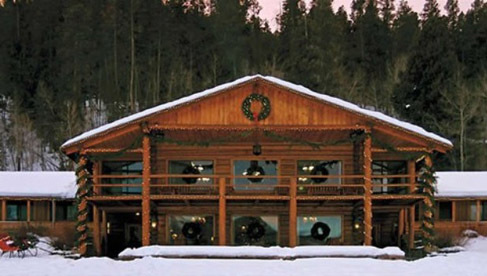 The luxury of C Lazy U Ranch is best seen in its full service spa, which overhangs the Willow Creek, it’s cuisine, and it’s charming cabins- the model of ranch elegance, built using wood from the forests on property. 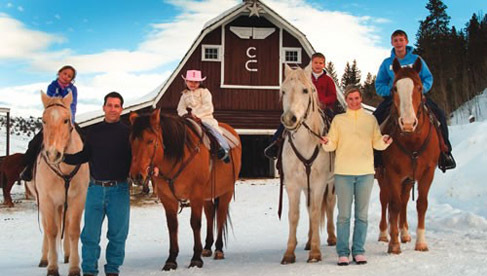 Whether you are looking for a summer vacation, or a new way to spend the fall and winter holidays, the C Lazy U Ranch is the Premier Guest Ranch. C Lazy U- Visit June 11-18 or June 25-July 2 and SAVE BIG ON KIDS!! It’s time for a wild west adventure for the whole family! 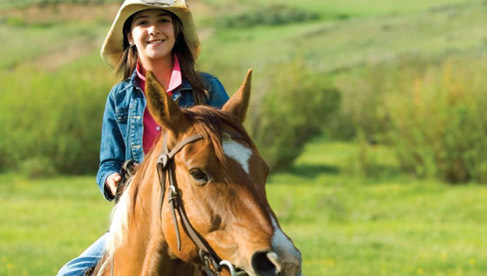 With one of our special summer deals, kids and parents can kick off summer vacation at C Lazy U Ranch with plenty of action-packed and awesome activities, including a special edition of the Shodeo to celebrate Father’s Day. 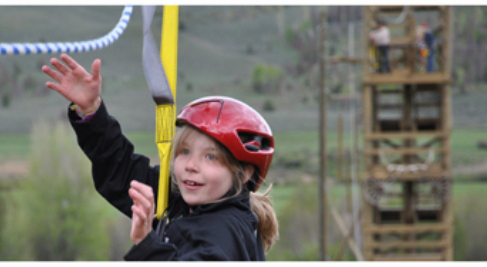 *Rates include luxury accommodations, three gourmet meals per day, daily activities on the ranch, our supervised Kids’ Program and exciting evening family entertainment. Learn more about what’s included in the rate! Learn more! 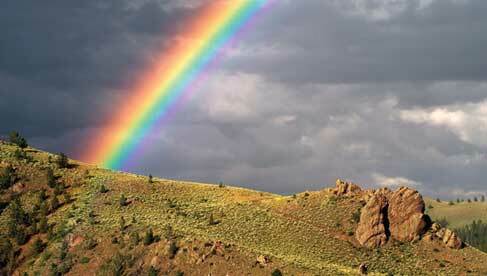 Call 970-887-3344. Visit C Lazy U's website. Email C Lazy U.
Horseback riding, kids’ program, ropes course, trap shooting, zip lining, Orvis endorsed fly fishing, archery, full service spa, guided hiking and mountain biking, off-site white water rafting and hot air ballooning, 24 hour fitness center, outdoor pool and hot tub, ice cream bar, gourmet meals, tennis lessons, cattle pushing clinics, horsemanship clinics, corporate team building, weddings. Winter Vacations- private snowcat skiing on site, snowmobiling, hay meadow tubing, luge style sledding, hockey and ice skating on the pond, cross country skiing and snowshoeing. Traditional Thanksgiving dinner celebration as well as Christmas and New Year's celebrations. Newly remodeled, using wood from C Lazy U Ranch's own land, each cabin is the picture of charm and ranch elegance. Room types range from standard rooms, to deluxe cabin suites, so there is sure to be something to accommodate any type of group. 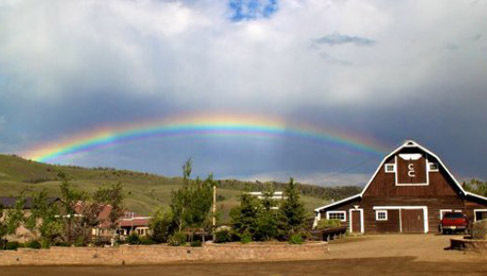 Private home rentals, one of which sleeps 11 people and has a gourmet kitchen, state-of-the-art sound system, and private hot tub, are also available at this Colorado guest ranch. C Lazy U Ranch's Executive Chef and Dining Room Manager work, each day, to create delicious meals, and perfect wine pairings. Dinners are served family style, creating an inviting, warm atmosphere in the lodge dining room, originally built in the 1940’s, with breathtaking views of the Divide; breakfast is made to order, and leaves you wanting for nothing; and lunches are a wonderful treat, served outside during the summer, at the Patio House. Rocky Mountain Nation Park, Estes Park, Colorado River, Winter Park Ski Resort, Sol Vista Ski Area and Grand Lake. 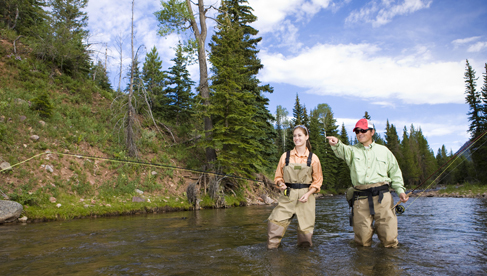 The perfect western family vacation that also serves as a destination for family reunions, corporate retreats and weddings. 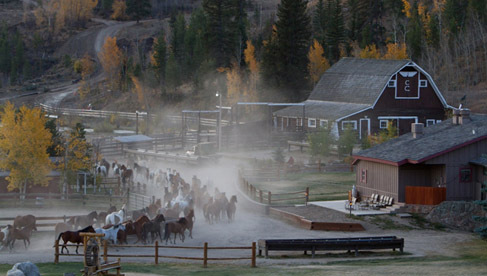 The C Lazy U Ranch has something for everyone: muli-level trail rides (from instructional to lope), a full kids program, Orvis endorsed fly fishing lessons on the stocked pond, or on the 2 miles of private stream, a full service spa, and 5-star, gourmet meals, to name just a few- stay 3 nights or a full 7.